Stanislaw R. Burzynski, M.D., Ph.D. graduated with honors from Medical Academy in Lublin, Poland and received his M.D. degree in 1967. Subsequently, in 1968 he earned his Ph.D. in biochemistry. He did his internship and residency from 1967 to 1970. From October 1970 to 1977 he was employed by Baylor College of Medicine in Houston, initially as a Research Associate and later as Assistant Professor. While at Baylor, Dr. Burzynski’s research was sponsored and partially funded by the National Cancer Institute. Doctors associated with M.D. Anderson Cancer Research Center also cooperated in this research. On July 1, 1977, Dr. Burzynski resigned from Baylor College of Medicine and established Burzynski Research Laboratories. Over a number of years the company expanded to Burzynski Research Institute, Burzynski Clinic, and Pharmaceutical Plant. Dr. Burzynski serves as the President, Chairman of the Board of the Institute, and is the owner of the clinic and pharmaceutical plant. 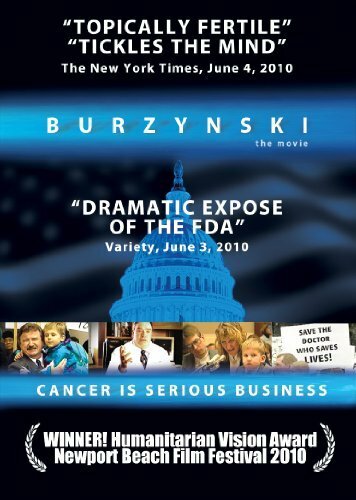 Dr. Burzynski is the discoverer of antineoplastons, which are components of a complex biochemical defense system against cancer. He is also the discoverer of new treatments for cancer, viral infections including AIDS, autoimmune diseases, Parkinson’s disease, neurofibromatosis, and restenosis. Among his contributions are 242 patents, and over 300 scientific publications. He is a member of numerous professional organizations, recipient of over 20 international awards, and carries the hereditary title of Count.